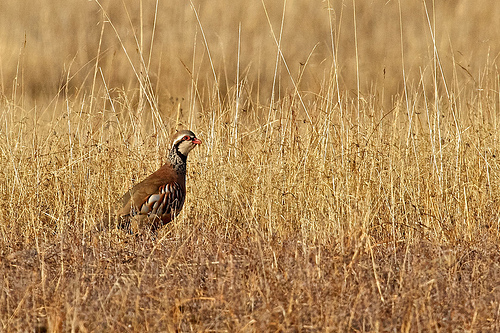 The Red-legged Partridge still lives in southern England, Spain, and France, but is becoming more and more rare. Typical is the white head with a black and white band. 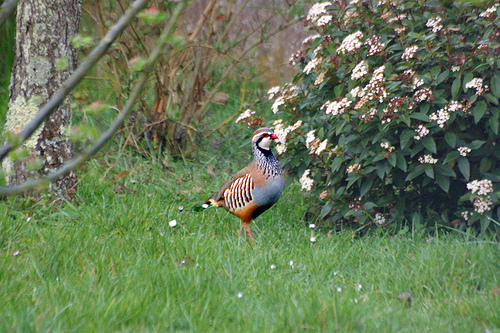 The Red-legged Partridge has a distinctive white head and misses the reddish brown 'horseshoe' on the belly.